By olduvai in Liberty on March 19, 2019 . Of note, the dossier Steele compiled which was subsequently used to obtain a warrant to spy on a Trump adviser (and later smear Trump) relied on a “senior Russian Foreign Ministry figure” and “a former top level intelligence officer still active in the Kremlin,” according to Vanity Fair. Following his March 12 tweet, Davis wondered if Twitter was experimenting with “shadow bans” – as he could only see his tweet if he was logged in, meaning nobody else could see it. Is @Twitter experimenting with shadow bans by deleting tweets so others can’t see them, but keeping them visible to you while you’re logged in? 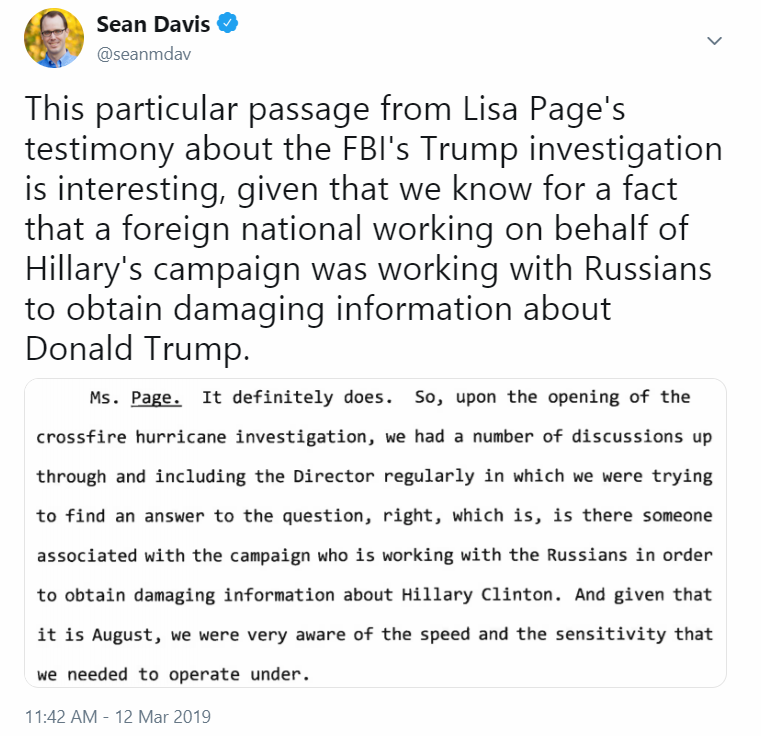 I had to re-publish my original Lisa Page transcript tweet because it was disappeared to everyone but me.